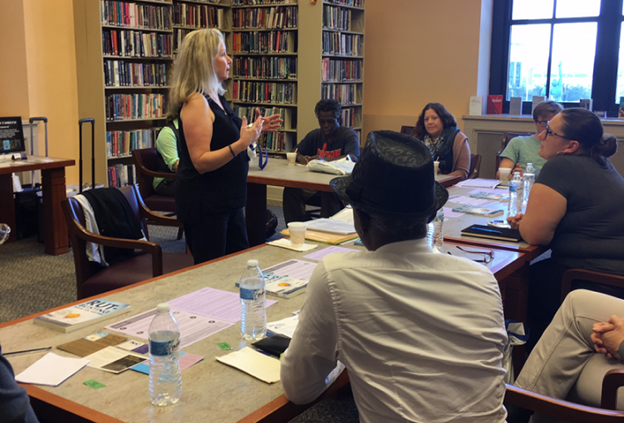 In preparation for National Novel Writing Month in November, the Literature Department/Ohio Center for the Book at Cleveland Public Library hosted a workshop for writers. Local author Nancy Christie provided insights drawn from her personal experience and information offered in her award-winning book Rut-Busting Book for Writers. The day was sunny and the turnout was warm as those pursuing the writing life, attendees at various stages in their writing journey, were given practical advice to break through the roadblocks to writing and become more productive as a writer.